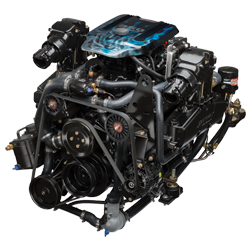 REPOWER: A TRUE NO BRAINER. Repower. The why, when, how. First off, you want to keep your boat. And why not? You love it. And it’s rigged just how you want it. Now on to the engine. Maybe it has lost a little of its power over the years. A little bit of its throttle. That happens. But guess what? You can get it back. All of it. Back to the original specs, the original performance, the original thrills. Maybe even with a few engineering upgrades. That’s how good QUICKSILVER is. Your boat. Your engine. Back to the way it was. Or better. And for a fraction of the cost of a new boat. No company in the world has the breadth and depth of repowering options available. 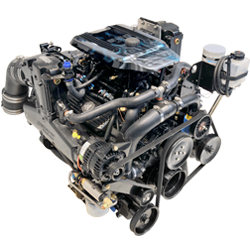 And from full ‘plug and play’ engine swaps to just core base engine replacements, we can give you whatever level of support you need. Be true. Trust Quicksilver. Engine? Check. Ready for takeoff! Think you’ll just be getting an old engine that’s simply checked over and repainted? Well think again! We replace just about everything. Pistons, connecting rods, camshafts, oil pump, water pump, valves and springs, oil pump, and head gaskets, are all new. And that’s not even the full list. 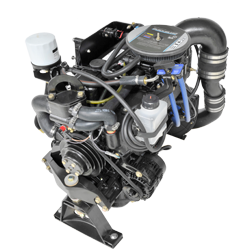 Dealers everywhere around the world sell and service Quicksilver marine engines. 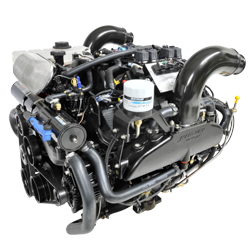 Visit your favorite dealer today to learn more about repowering your boat!